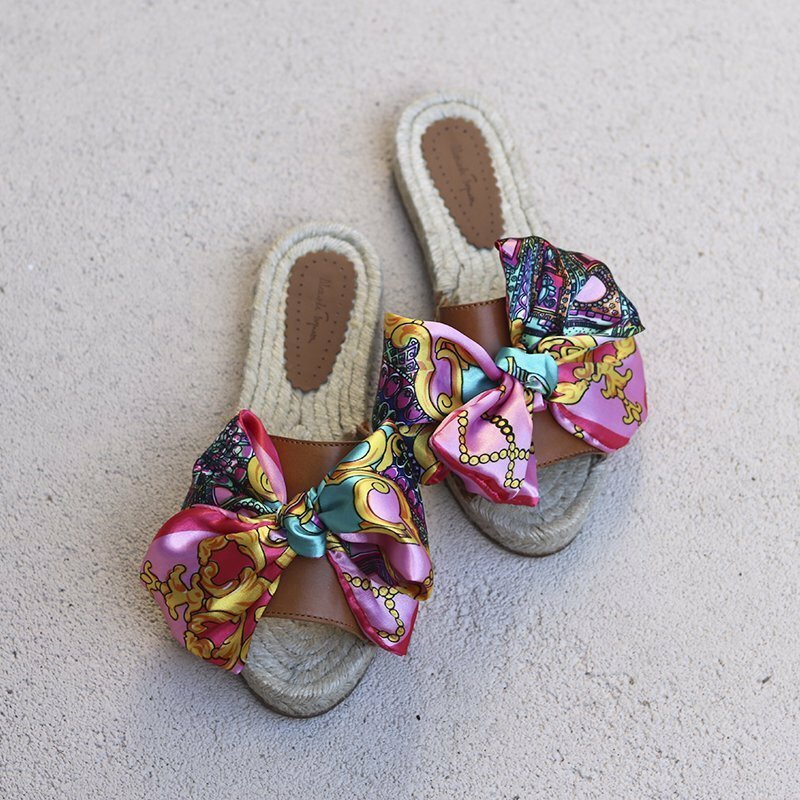 Our espadrilles slides are so unique. They are 100% handmade, hand stitched in our country Portugal. Made of italian leather, so comfortable that you will want to keep them forever. These are so fun to watch and wear, with a silk colourful bow at the front.